Exhibition display system, build and production. 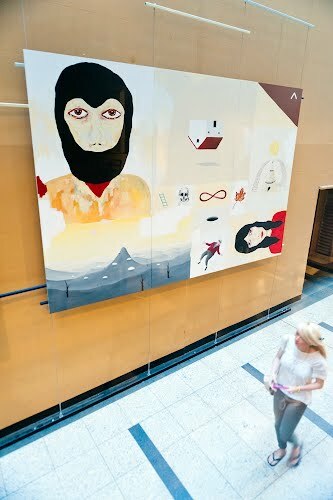 Moth was contracted by Wiltshire and Dimas Management to design and install a large scale display system to hang in front of a heritage wall at The Galeries shopping centre in Sydney. 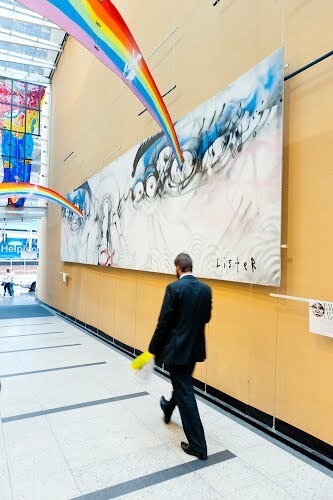 The aim was to have a freestanding gallery space to show large scale works and enliven the busy thoroughfare. Moth designed and manufactured a custom system using tensioned steel wire and movable tracks hanging floor to ceiling. 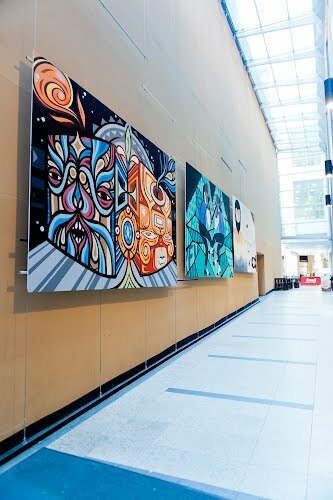 The system allows for the ability to interchange the artwork with ease but also looks great when empty between shows. 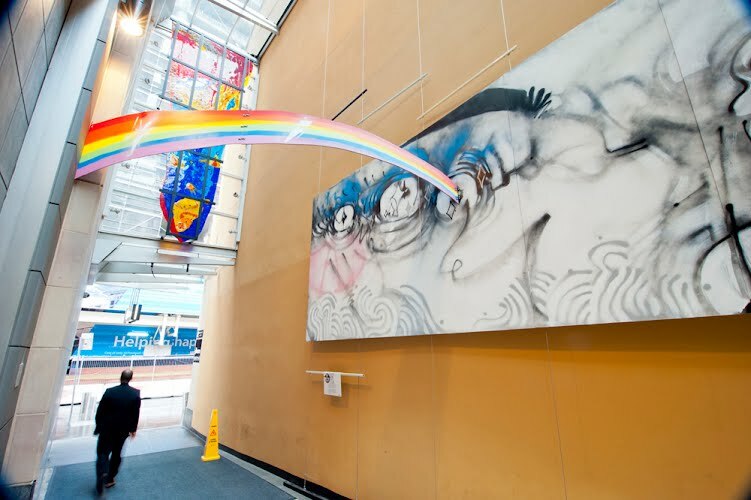 Artists were commissioned to create work on large scale plywood boards and a particular highlight was the work 'rainbow tears' by Anthony Lister which rainbows protruded from the boards over the visitors walking below. The Gallery is the second site of aMBUSH gallery in Sydney and will host 4 shows per year.